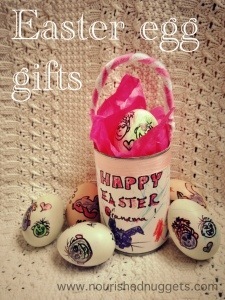 As you can see from my previous posts, we are up to our eyeballs in decorated Easter eggs! Some on our tree, some in holders, and the rest are going to the Grandparent’s as Easter gifts. We are bringing some along to the festivities this weekend and mailing others to family who won’t be here. I was trying to figure out ideas for “presentation” and also packaging for sending them in the mail. Opening up a can of coconut cream for a tasty Paleo treat today, it dawned on me that the can would be perfect for both presentation and package. A cute little can basket, that also serves as a solid vessel to mail the egg in so it will arrive intact at Grandma and Grandpa’s on Easter in one piece. So Ellie got out her colored pencils and we got started. I think it turned out pretty cute! Cut a strip of paper large enough to cover the can where the label had been. 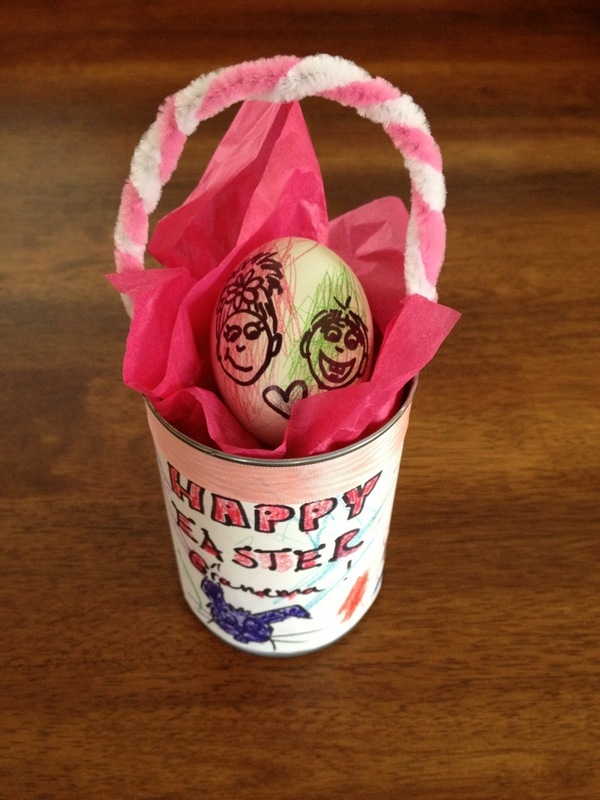 Fill with tissue place the egg inside and voila…a basket that can be mailed and keep your precious egg intact!